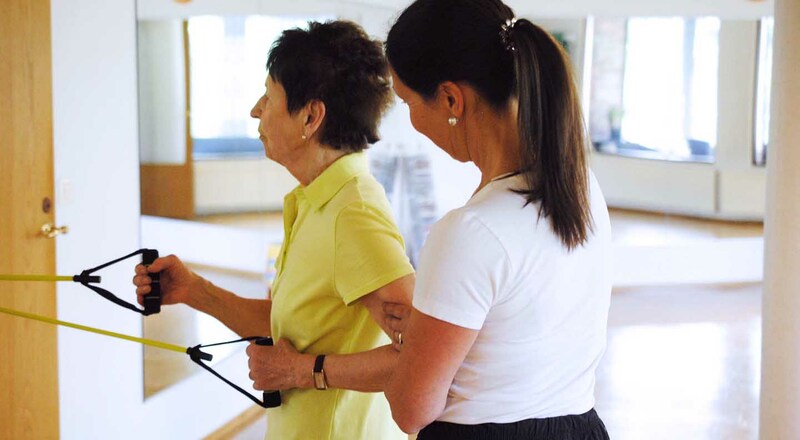 Active rehabilitation treatments are one-on-one sessions with a licensed kinesiologist, the most knowledgeable health professionals for overseeing exercise therapy. In each session the kinesiologist will guide you through a series of exercises in a structured and progressive manner to ensure proper body mechanics and technique. Active rehabilitation is a kinesiology-directed exercise-based approach to injury recovery and prevention. A kinesiologist can help individuals with injury, disability, or medical condition(s) reach their health and fitness goals in a safe and progressive manner. In each session the kinesiologist will guide you through a series of exercises in a structured and progressive manner to ensure proper body mechanics and techniques. Improves overall posture and body mechanics. Reduces muscular imbalance via targeted strengthening. Manages chronic or new sports injuries. Restores range of motion by addressing soft tissue injuries. (within BCAK Scope of Practice limitations)* Mobilizations, manual therapy and manipulation; osteopathic manual techniques; and electrical therapy techniques.